The SYSTEM-1m is a semi-modular synthesizer with PLUG-OUT capability and a unique design that can be used as a Eurorack module, tabletop synth, or 19" rack mount unit. In addition to being a powerful standalone instrument, the SYSTEM-1m has external inputs and an array of CV/Gate connections that allow it to be re-patched and to interface with other modular synthesizer systems. The SYSTEM-1m's CV/Gate connections combined with its ability to load classic Roland PLUG-OUT synth models like the SH-101 and PROMARS give it power and flexibility that is simply unparalleled. Modular synthesizers are highly prized by musicians for their ability to make totally unique and interesting sounds. But they can demand a real investment of both time and money to create a fully functional instrument. The SYSTEM-1m takes the guesswork out of getting into modular with great sounds and the freedom to experiment right out of the box. The fully self-contained module can be placed in a rack or on a table and can be powered by a standard AC adaptor. And it can be played from any standard MIDI keyboard or receive MIDI messages from your DAW -- just like you'd expect. But the SYSTEM-1m goes way beyond standard synthesizer modules. With fully-lit, color coded patch points, you can experiment with reconfiguring its architecture and easily connect to a wide world of available synthesizer modules. In addition to functioning as a rack mount or tabletop unit, the SYSTEM-1m can be mounted in a standard Eurorack case and can be powered via integrated case power with the included adapter cable. Its versatile synth architecture integrates beautifully with existing modular setups -- or it can be the heart of a burgeoning modular synthesizer rig. The SYSTEM-1m is a stunningly powerful instrument based on more than 40 years of experience in designing synthesizers. It's capable of an astonishing range of synth tones, from glistening arps to thunderous basses. 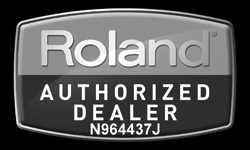 But Roland is also known for their lineage of iconic vintage instruments, sought after by musicians the world over. These include a long list of classic synths renowned for their identifiable character and genre-defining tone. And this is why Roland developed PLUG-OUT technology. PLUG-OUT synthesizers use Analog Circuit Behavior technology to perfectly replicate some of the most revered classics. They work like regular VST or AU compatible plugins in a DAW, with the SYSTEM-1m's array of high-resolution knobs and sliders creating an elegant, one-to-one control surface that works seamlessly. But you can also load PLUG-OUT synths directly into the SYSTEM-1m and switch between the internal synthesizer architecture and one of a growing number of PLUG-OUT Roland classics, like the SH-101, SH-2 and PROMARS -- with no computer required. While it provides a huge amount of synthesis power on its own, interconnecting the SYSTEM-1m with other modular gear creates a vast range of sonic possibilities. Its impressive oscillator section, sweet filters and snappy envelopes are sure to be welcome in any modular setup, no matter how big or small. But it's the SYSTEM-1m's combination of CV/Gate modularity, PLUG-OUT, and DAW integration that takes things into completely uncharted territory. For example, load the SH-101 PLUG-OUT into the SYSTEM-1m and you essentially have a hardware SH-101 with modular capabilities -- something that has never existed before. You can process external sources through the SH-101's acclaimed filters, or load the SH-2 PLUG-OUT and use its formidable oscillator section to drive any number of available Eurorack filters and envelopes. The potential is staggering. Available until 11 PM (EST) today. Mention special code 1ZY-7H1T when you call.